team of professionals invites you to its world of luxury, traditional hospitality & personalised services. 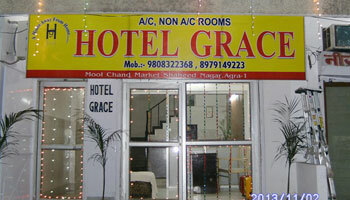 With its tastefully designed rooms and modern amenities. Our hotel has 24 air-conditioned superior, premium, club & royal club rooms with attach bathroom, 24 hours running hot & cold water, mini refrigerator in every room, colour lcd with more than 100 channels & activated wi fi internet facility. Parking, Breakfast Services, Airport Transportation, Security Guard, Laundry Facilities, Travel Counter, Doctor on Call, Currency Exchange, Backup Generator, Room Service. Wakeup Calls, H/C Water, Iron/Ironing Board, Toothbrush/Razor on Request, Air Conditioning Room, Cable/Satellite TV, DVD Player, House Keeping, Attached Bathroom.